Are Bicyclists Required to Stay on the Right Side of the Road? In the city of Seattle, bicyclists who are riding on a public roadway at a slower speed than the normal flow of motor vehicle traffic should ride as near to the right-hand side of the right lane as is safely possible. This allows motor vehicles to maintain regular traffic flow without endangering the lives of bicyclists. 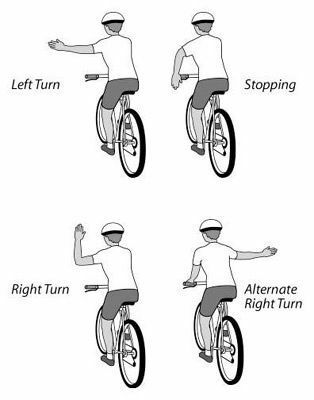 Bicyclists are allowed to change into other lanes of the roadway as is necessary, but must do so using the proper hand signals or otherwise alert other drivers of their intent to change lanes. If a bicyclist is keeping up with the pace of traffic, then they are not explicitly required to stay on the right-hand side of the roadway. 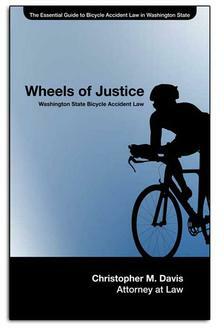 "...Every person operating a bicycle upon a roadway at a speed slower than the normal flow of motor vehicle traffic thereon shall ride as near to the right side of the right lane as is safe, except as may be appropriate while preparing to make or while making a turning movement, or while overtaking and passing another bicycle or vehicle proceeding in the same direction. A person operating a bicycle upon a roadway may utilize the shoulder of the roadway or any specially designated bicycle lane if such exists."